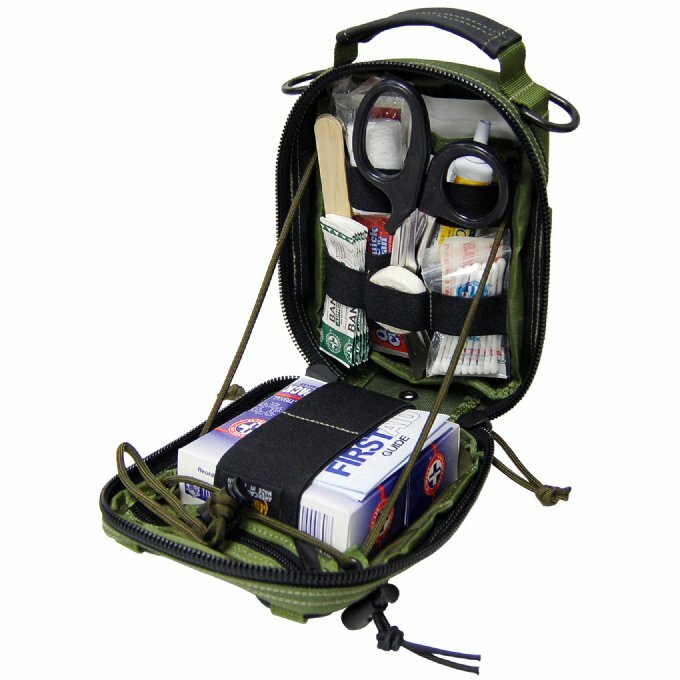 The FR-1 Pouch design evolved from a first aid kit bag with added versatility. It can be used as a specialized medical pouch or even a general purpose organizational pouch . Supplies in photo are not included. The FR-1 Pouch design evolved from a first aid kit bag with added versatility. Both front and back halves have layered pockets topped with a wide array of elastic loops, essential for keeping contents in place. The full zipper clamshell opening can be fine-tuned to various angles using a paracord adjuster. Last but not least, the FR-1 has a Torch-Lair in front with bungee cord compression.